Orinoco Gold has announced that it has just started working with AngloGold Ashanti on establishing an in-country joint venture entity in Brazil. This comes both companies confirmed the original terms of an earn-in agreement signed back in 2017. According to a statement from the companies, the undertaking should be completed on the first quarter of 2019. 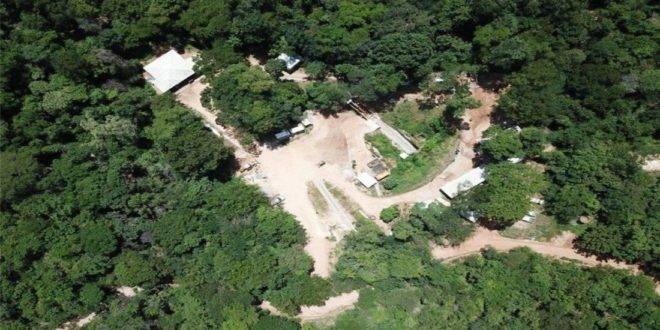 The regional exploration joint venture would focus on Orinoco’s Faina Goldfields project, which encompasses the tenements surrounding the company’s Cascavel gold mine located in the central Brazilian state of Goiás. Under the terms of the JV agreement, AngloGold may earn up to a 70 percent interest in the JV tenements by spending $9.5 million in exploration over a three-year period with the right to withdraw at any time. To date, AngloGold has advanced approximately $2.13 million to reduce its earn-in requirements. The Faina Goldfields Project comprises a number of early-stage and advanced exploration projects in the Faina Greenstone belt. The Perth-based company said the projects have the potential to rapidly develop as a series of priority targets will be defined by a technical committee led by AngloGold as soon as the JV is established. 13 more holes demonstrating the potential for large scale gold mineralisation across the project; and the Tintiero Polymetallic Prospect, where high-grade silver, nickel, cobalt and copper target 2 km west of Cascavel with previously reported grades of up to 4,000 g/t Ag, 1.2 percent cobalt, 0.5 percent copper, and 0.3 percent nickel.